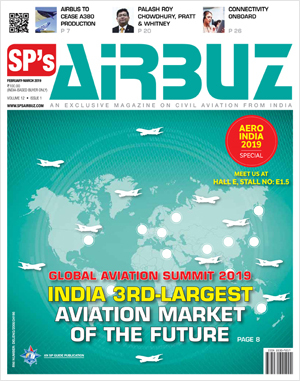 SP’s AirBuz (SP’s): What’s your vision for Vistara airline? 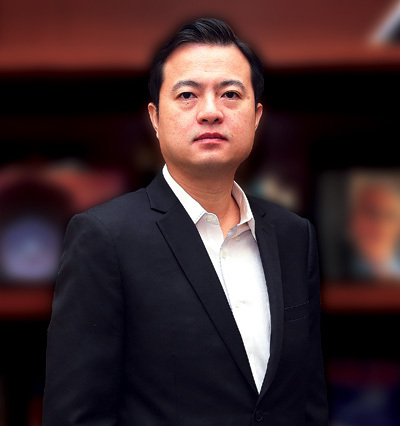 Leslie Thng (Thng): Our vision stems from our passion for customer service and our commitment to contribute to the very dynamic aviation industry. We don’t just want to help people get from one point to another. Our vision is to become a global airline that makes people around the world look forward to flying as an experience, and one that is esteemed for exceptional customer service, while also being commercially successful. Vistara has challenged status quo from the very beginning, and we want to continue innovating, finding newer ways to delight our customers and redefine air travel. SP’s: Was it difficult to integrate the corporate philosophies of two legacies in Asia – Tata Group and Singapore Airlines? Thng: Any strategic partnership is based on the alignment of fundamental values of the partners. Tata and Singapore Airlines may have different businesses, but both organisations follow a common purpose of enhancing the quality of life of the people and communities they serve. Vistara has, therefore, naturally inherited very strong values and stands committed to delivering customer-centricity at every touchpoint. Having said that, we have a distinctive culture of our own as an organisation built carefully with a new-age outlook, while incorporating values and traditions of our parent companies. A. What is the idea behind the mix of Airbus (13) and Boeing (6)? Can you indicate on your criteria of selection of this interesting mix? B: What kind of market leadership you plan to have after having acquired the above stated size of aircraft fleet? C: Would you like to share as to how do you plan to fund these expansion plans? Thng (A): We have always wanted to become a global airline, which means we will go international, but at the same time the domestic market remains very important and a key asset for Vistara. We will continue to densify our domestic network and embark on shorthaul international routes to begin with. The recently placed order for Airbus A320/A321neo family of aircraft is the best choice for us, as there will be a continuation in terms of the fleet we already have. At the same time, to be a global airline, we cannot restrict ourselves to domestic and regional international routes. To expand into medium and long haul international markets, we evaluated our options and found the Boeing 787-9 Dreamliner aircraft to be the best fit for us to support the thought-through expansion roadmap we have envisaged for Vistara. Thng (B): With so many unique attributes, product and service differentiators, it is evident that we’re not chasing the competition, but creating a unique space for ourselves in the market. Whether it is the domestic market or international, we will continue to invest in making our product and service relevant with the changing times to offer an unparalleled air travel experience. 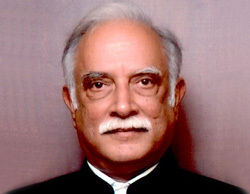 We see a great demand in India for a better flying experience on international routes, and we believe that our globally applauded service standards will make a significant difference for people travelling from India to other parts of the world and vice versa to experience Indian hospitality in the true sense with a contemporary, global touch. 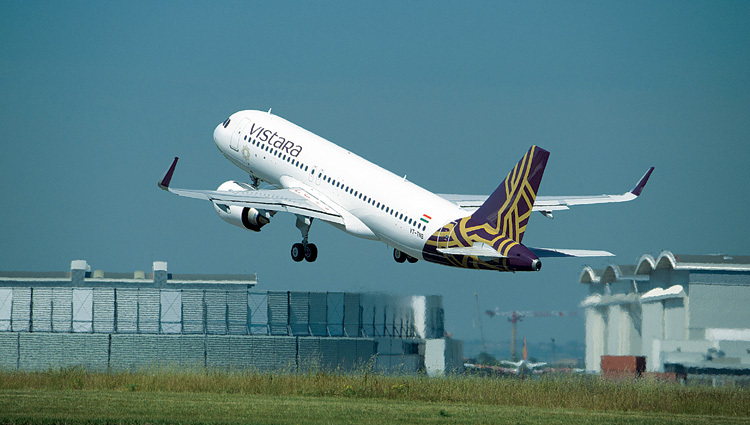 Thng (C): It may suffice to say that we’re adequately funded at present, and both our parent organisations are quite upbeat about what we can make of Vistara. They are confident of and remain deeply committed to our growth plan. SP’s: It is understood that you hope to start international operations by end of this year. Can you provide us with some details on which all routes and frequency of flights, etc.? Thng: We will begin flying to international destinations within the range of our existing fleet of Airbus A320neo aircraft however, it is premature for us to comment on the routes and the frequency of flights. At present, we’re in the process of seeking necessary approvals from various authorities and finalizing our international operations plan. SP’s: Your website speaks about charter services. What kind of services does that offer? Does that involve any fleet of business jets? Thng: No, we use our existing fleet for charter services, as some of our customers such as corporate groups, organisations, tour operators or individuals require a dedicated aircraft to take them to a destination within the country, which may even be beyond our existing network. SP’s: Would you like to comment on Indian Ministry of Civil Aviation (MoCA) policies and the responsiveness towards aviation business in India? Thng: It is heartening to see that the MoCA has rolled out some very ambitious initiatives in the recent past. It has revisited existing policies and introduced new ones that are pro-business and pro-consumer, in consultation with all stakeholders. The government’s vision of enabling a billion passenger trips a year addresses several needs, the most important being that of a better infrastructure. We’re very hopeful that these steps coupled with the growing demand for air travel in India will elevate the country’s position in the global market. 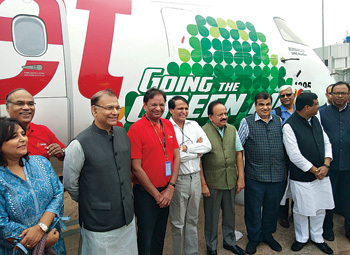 SP’s: What do you think of the Government’s initiative UDAN? Do you foresee a role towards the RCS (Regional Connectivity Scheme)? Thng: We support the government’s UDAN scheme and view it as a landmark step in Indian aviation, which will make the industry more sustainable and will significantly contribute to the country’s economic growth. Due to our relatively small scale and size at present and absence of suitable aircraft to operate on routes under the scheme, we could not participate in it. However, we do not rule out the possibility of doing so in the future. SP’s: As the Indian market remains heavily cost-sensitive, do you really see a very strong future for a full-frill airline? Can you elaborate how and why? Thng: The Indian market is unique because there’s room for everyone to grow. Whether it is for a low-cost carrier or a full-service one like ourselves, there are so many segments of travellers in the country with varied preferences and spending capacity that diverse business models can easily coexist. The one-size-fits-all-all approach cannot work in India, and that’s why opportunities for everyone only multiply. Our growth in the last three years clearly demonstrate that people are ready to pay a reasonable premium to fly with Vistara only because they see value in our product and service. On the other hand, millennials are a generation that’s changing the definition of travel, making it an essential part of their individual growth. Naturally, that means they don’t just go for any option that comes their way, but carefully make decisions when it comes to travelling, including the airline they fly. We recently introduced ‘Vistara Freedom Fares’, which is an intuitive, menu-based pricing model designed to empower customers with the freedom to choose the kind of fare and services that suit them best, giving them the freedom to plan their journeys, their way. It lets our customers choose from thoughtfully bundled features and services at different price points or select them à-la-carte. However, world-class service standards and an unrivalled inflight experience remain constant regardless of the fare type one chooses. This pay-for-what-you-value approach is especially designed for the new-age travellers that has redefined full-service flying, yet again. SP’s: How is your airline addressing the persistent shortage of cockpit crew in India? Thng: Pilot shortage is a global phenomenon today. Our priority remains to train our own pilots and build an internal pipeline to focus on organic growth and become self-sufficient for the long-term. SP’s: Any interest towards acquisition of Air India which in fact has a major historical connect with Tatas? Thng: The priority of our shareholders is to focus on Vistara’s expansion. SP’s: How will you rate Vistara’s performance and growth from its inception till now? Have the targets been met? Thng: At Vistara, we have followed a long-term measured growth plan and considering that, we are quite on the right track in our journey. In fact, we’re overwhelmed by the love of millions of travellers who have made Vistara their preferred airline, and all the honours awarded to us in such a short span of time testify this. We flew more customers in the last one year than we did in the first two years since starting operations. Though our fleet expanded by about 40 per cent since March 2017, the number of passengers we flew more than doubled in the same period. Our load factors are mostly the highest among full service carriers, consistently clocking in the range of 85-90 per cent every month. We recorded our highest-ever load factor in February this year at 91.2 per cent, which by all logic, is phenomenal for a carrier with three cabin classes. The occupancy in our Economy class is usually close to 95 per cent, which is amongst the highest in the industry. It is also important to note that this is achieved while maintaining our record of having some of the lowest cancellation and customer complaint rates in the industry. SP’s: How has been the financial performance of your airline, till now? Do you find that satisfactory? Would you like to share your key steps towards constant improvements? Thng: As a matter of policy, we will not be able to share specifics. However, I could say that we’re continuously recording improvement on two key indicators of our financial performance, RASK and CASK, as they’re moving in the right direction. We are seeing a declining trend for CASK and an improving trend for RASK.